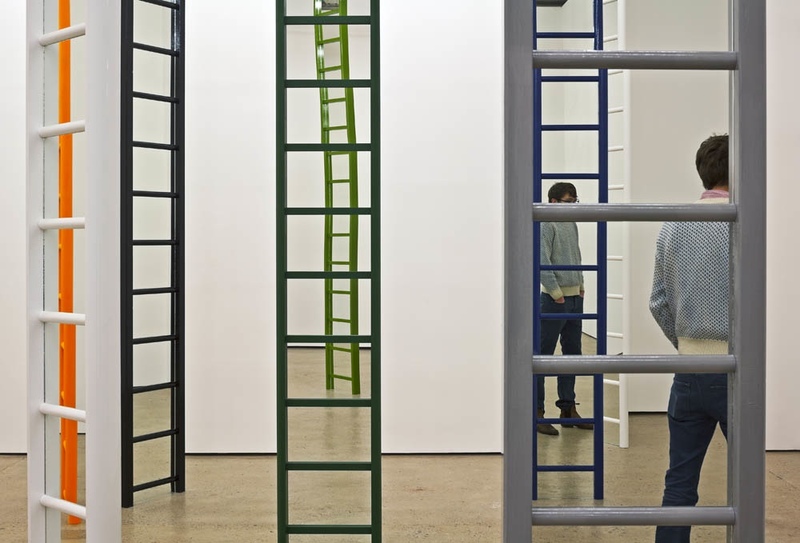 What fascinates me about this work is the combination of the excess of having so many ladders in such a small space and the ridiculousness of them standing apparently unsupported and the visual confusion created by the mirrors. It becomes hard to make sense of the spece, much less figure out what would happen if one were to take the leap of faith involved in attempting to climb a ladder here. 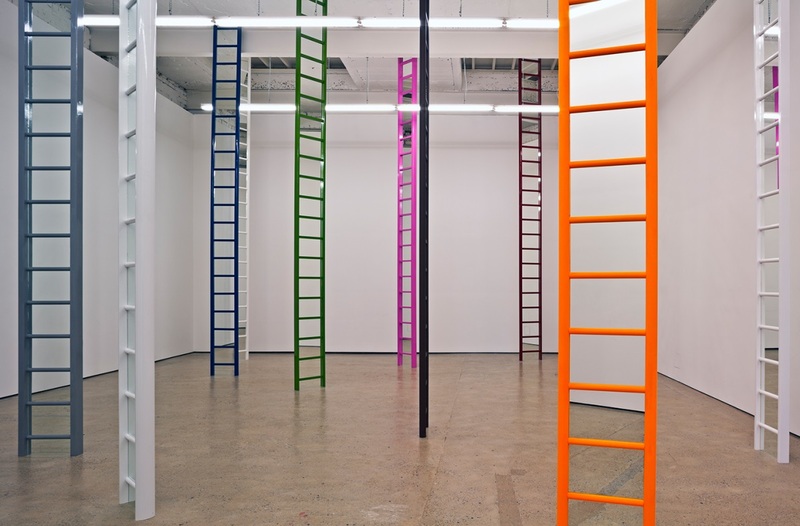 This entry was posted in Installation, Sculpture and tagged art, Jim Lambie, ladder, Scotland, Shaved Ice by Ann Jones. Bookmark the permalink.